Even if you can't buy a new Mercedes-Benz for your friend, parent or relative, you can still make them happy with one of these Mercedes-Benz gifts. These stainless steel drink chillers are similar to whiskey rocks in that they keep your drink stylishly and efficiently cool, without diluting it. These are a conversation starter and will definitely make people look twice at a glass. 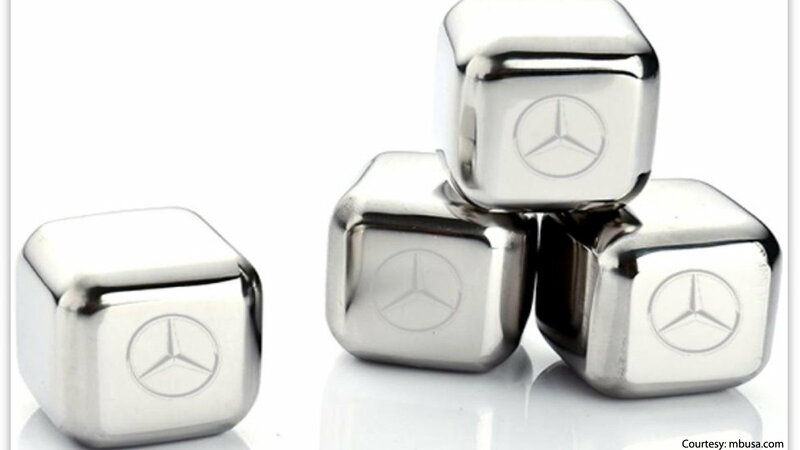 What's even better — each cube is embossed with the Mercedes-Benz logo. >>Join the conversation about Gifts for the Mercedes-Benz Lover in Your Life right here in the MBWorld Forum! Maybe the person you're shopping for also has an affinity for grilling? If so, this custom four-piece BBQ set, packaged in a beautiful rosewood case for easy transportation, is just the gift you'll want to give. The knife, spatula, fork and tong tools are 19" long made of stainless steel with a real wood handle. 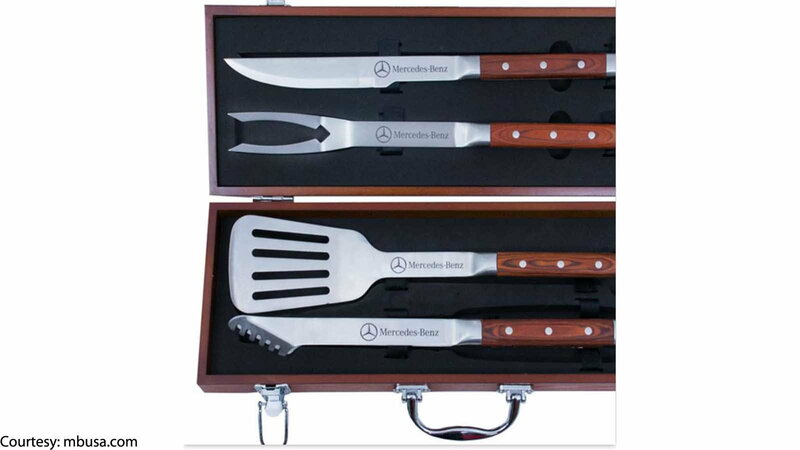 The quality is a cut above what you typically see in BBQ tools, as is fitting a Mercedes fan. Every Mercedes-Benz owner could use a key ring that looks as classy as the car the keys fit. This Saint Tropez key ring comes resplendent in black, red, or white crystals and is 3 1/2 inches long. It's one of many designs on the Mercedes-Benz accessories website. Espresso aficionados can never have enough espresso cups, and espresso is hot and stimulating just like the Mercedes tuner cars; a match made in the Alps. 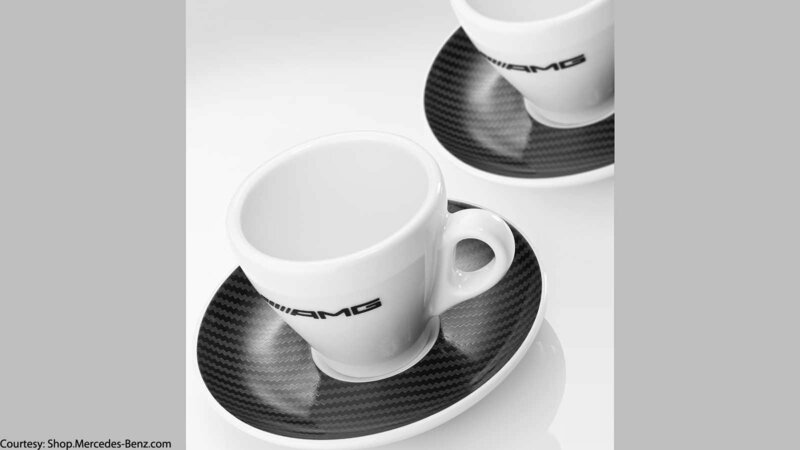 These porcelain AMG cups come in a set of two and have matching saucers with a clever faux carbon fiber pattern. 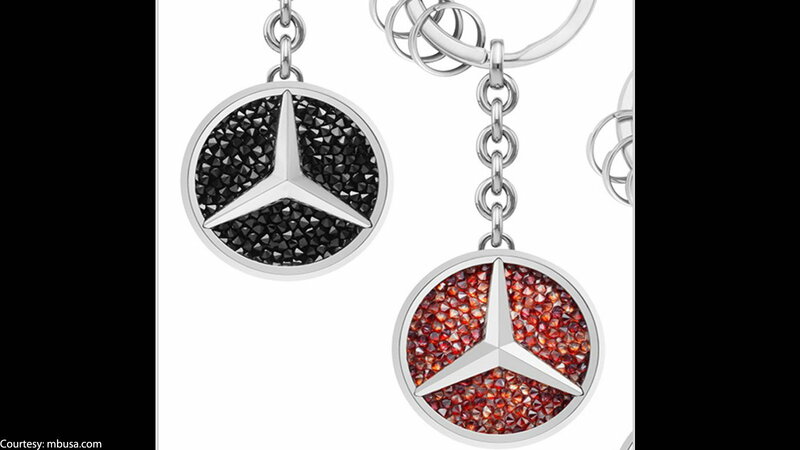 They're the perfect accessory for getting revved up for a day of driving a Mercedes-Benz. The interior of any Mercedes-Benz is too luxurious and well-crafted to be treated to plastic to go cups. 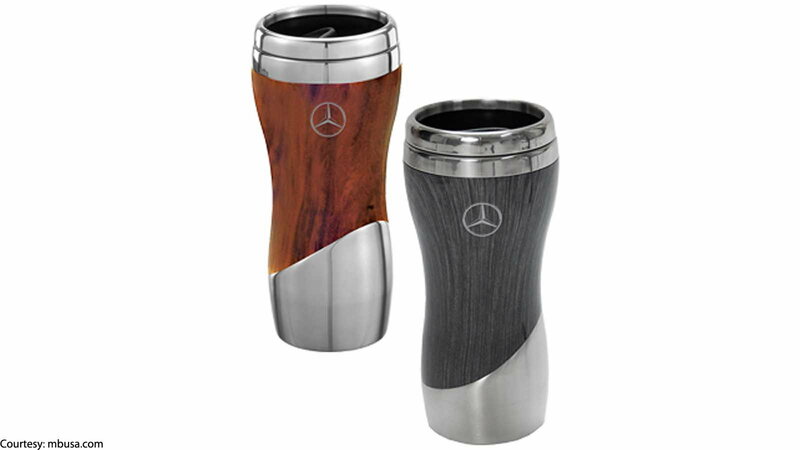 With one of these steel and wood grain tumblers, the driver can fully focus on driving, assured that their beverage won't spill out onto an interior surface. Available in either brown or grey, this tumbler has a rubber sealed lid and is actually as nicely detailed as the interior of an S-class. Click here to view more about this product. It's hard for a photo to do justice to this 18" x 24" timeline poster for spotting Mercedes-Benz vehicles over the years. 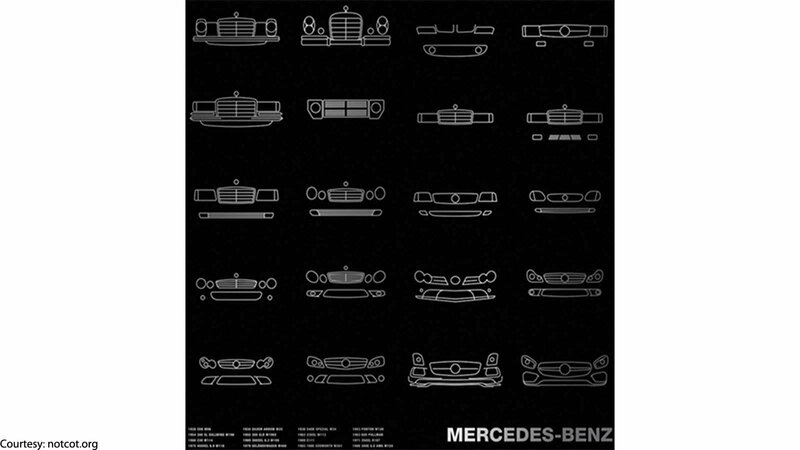 From the front view of the 1928 W06, to the 1969 C111, to the 2016 AMG GT S, this poster really is a work of art that any true Mercedes-Benz enthusiast will love to admire time and time again. It's a thoughtful gift that will definitely gain you some brownie points for uniqueness. 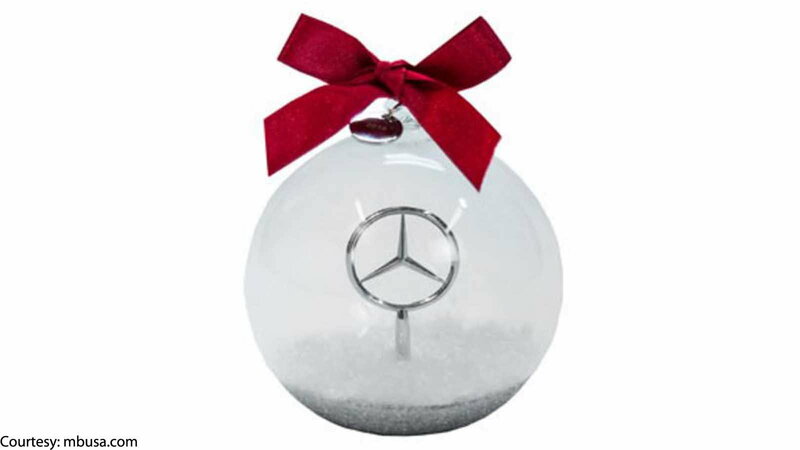 This Mercedes-Benz ornament is a gift on the safer side of giving; it's ideal for someone who you know to love their Mercedes-Benz yet you may not know them well enough to pick out something more personal. This limited edition glass snowglobe ornament features the Mercedes-Benz logo resting above a bed of snow. It's a nice showpiece gift that they'll enjoy for years to come when trimming a tree.